COLUMBIA, Mo. –Your squad, or social group, can have a huge impact on how you view the world. Now, new research shows that the people you hang out or work with might also impact how well you can identify fact from fiction. Many people have difficulty authenticating online information, and today’s personalized systems on social media are making it even harder to distinguish fact from fake news. In 2016, researchers at Stanford University found that 60 percent of college students were unable to correctly evaluate if a tweet was an accurate source of information or not. Now, researchers at the University of Missouri School of Information Science and Learning Technologies have found that social dynamics, or group behaviors and interactions, have a significant impact on evaluating online sources, even when groups have equal access to information. Isa Jahnke, associate professor in the College of Education, and Michele Kroll, a doctoral candidate in information science and learning technologies, wanted to explore how students use online sources and how they work together to identify misleading information from factual information. In the study, graduate student groups were given scavenger hunt tasks that required using online sources and personal knowledge to answer questions correctly. Even though each group was given equal access to the internet, group performance was most heavily impacted by how individuals interacted with one another. For example, one group that performed poorly missed a question because two team members ignored the logic and personal knowledge of the third team member, who had the correct answer. The group that performed best chose to research the questions individually, before coming together to share their answers. Jahnke and Kroll say this strategy might have worked best because there was no discussion that might have influenced other members’ thoughts on the correct answer. 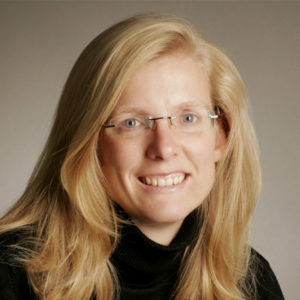 Kroll says teachers who want to support cooperation among students need to consider other factors beyond giving them equal access to factual information and sources, including educating them about the impact group dynamics can have on identifying correct information online. “Exploring students’ use of online sources in small groups with an augmented reality-based activity—group dynamics negatively affect identification of authentic online information,” was published in Heliyon. The open access article is available here: https://doi.org/10.1016/j.heliyon.2018.e00653.